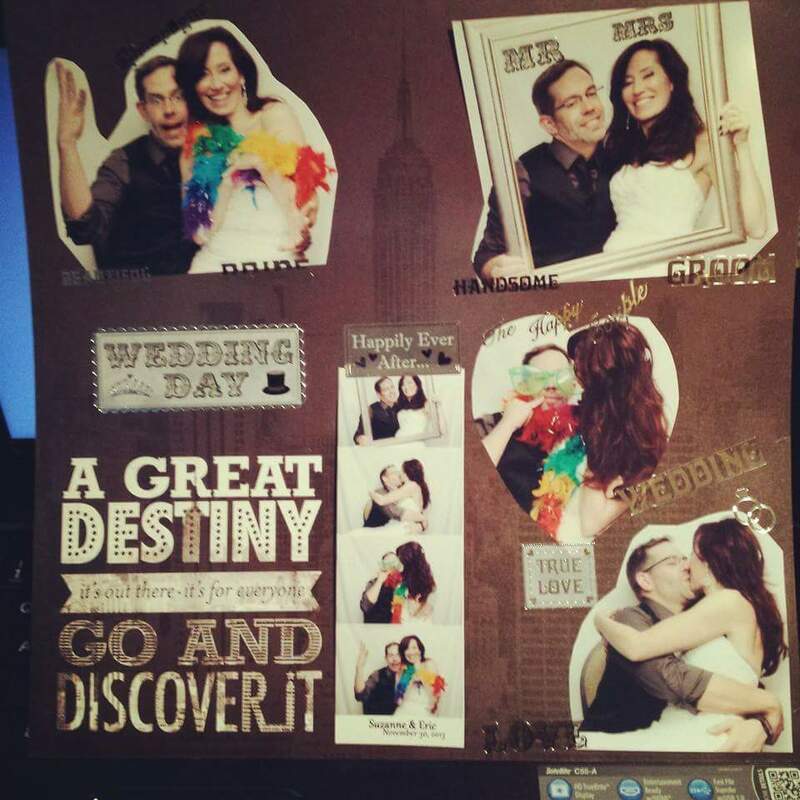 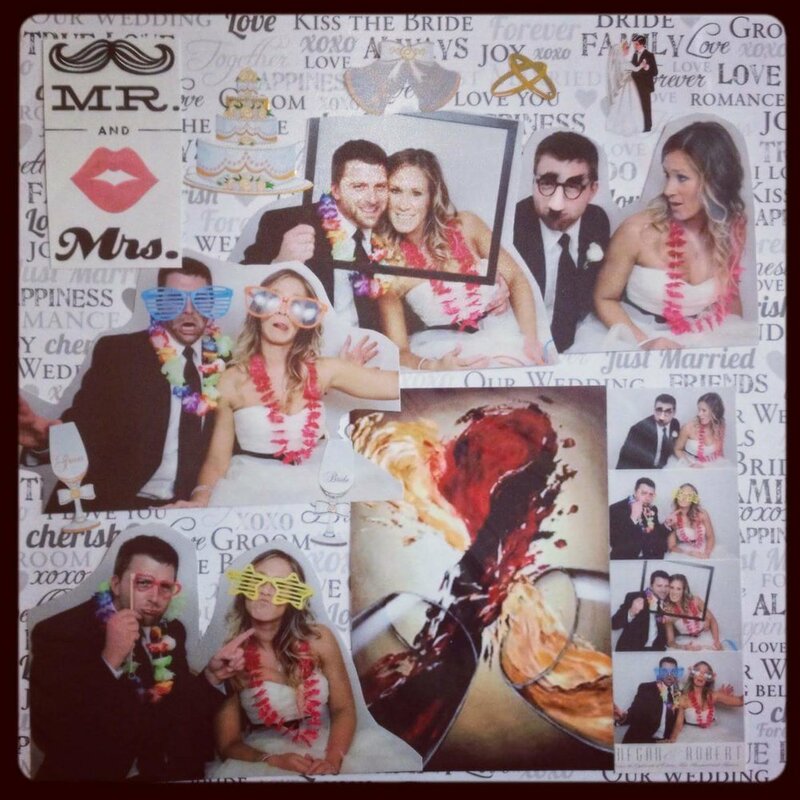 Scrapbooking is something we really enjoy and get the guests actively involved in. 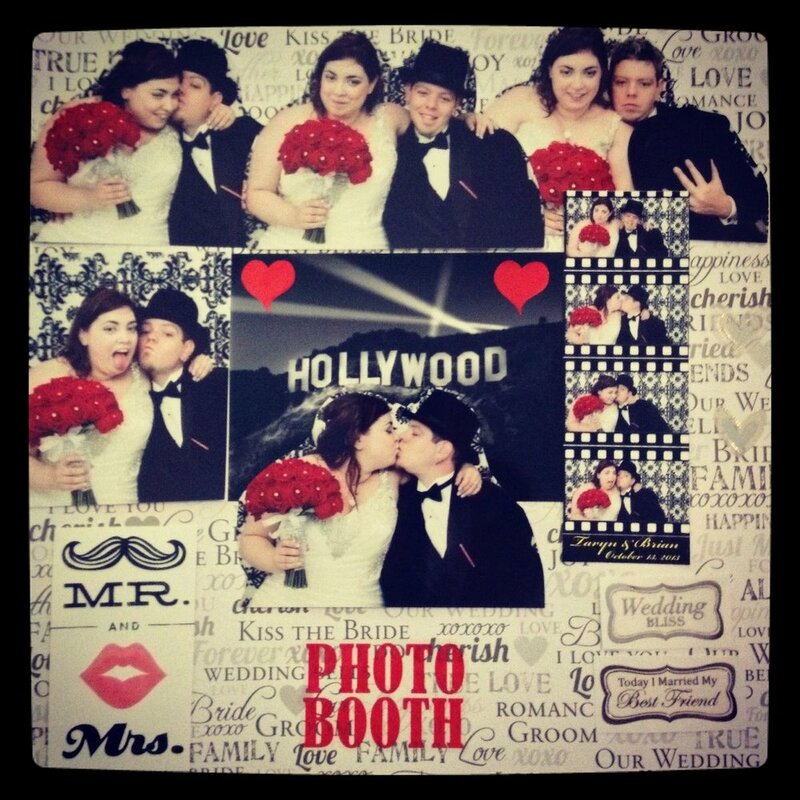 Each event includes a custom front page that focuses on who the party is for and incorporates a little about them and their theme. 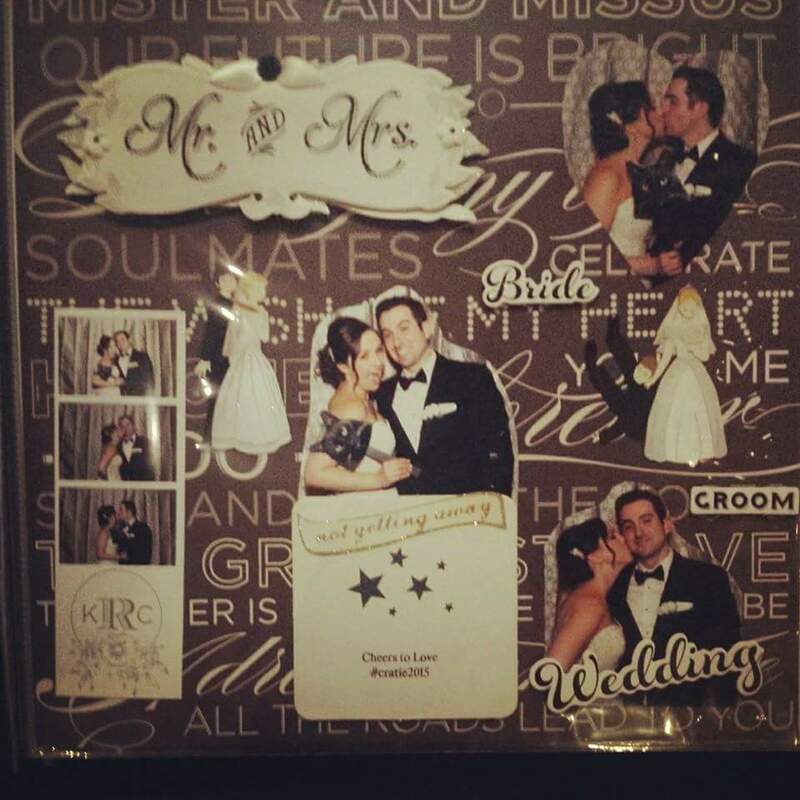 Every page thereafter consists of several strips on a page that guests can leave notes on. 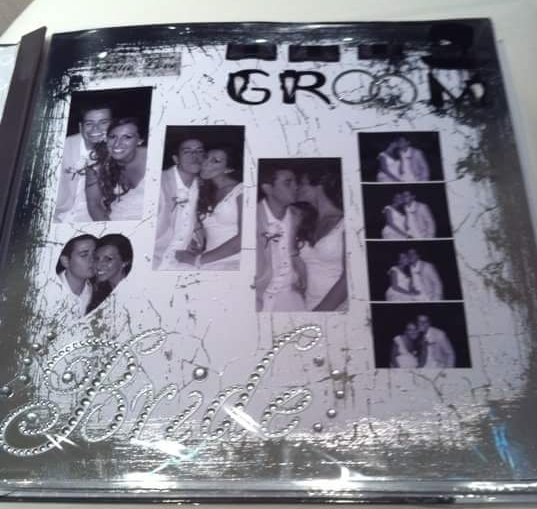 We are not the atypical scrapbookers with just a silver pen and black paper. 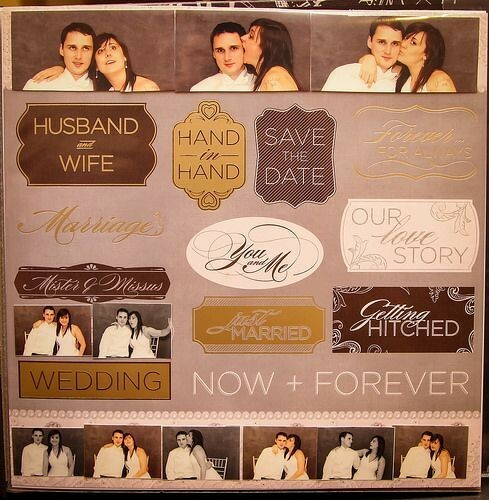 We bring out themed stickers, themed photos, specialty themed pages, rub ons, ribbon and more.